The Supreme Court, on January 10, directed the Kerala government to pay Rs 500 crores in three months as compensation to over 5,000 victims of the use of endosulfan pesticide. The SC bench headed by Chief Justice J S Khehar also asked the state to consider setting up a medical facility to provide treatment to victims. The bench added that Kerala can also approach the Centre, state corporations and other entities for the compensation amount. Kerala has earmarked over Rs 180 crores as compensation to victims, reported The Hindu. The state has paid cash compensations ranging from Rs 5-2 lakhs. Endosulfan pesticide was used widely on crops like cashew, cotton, tea, paddy, fruits and others until 2011, when the Supreme Court banned its production and distribution. The health effects of the chemical include neurotoxicity, late sexual maturity, physical deformities, poisoning, among others. People, especially newborns, have suffered deformaties, health complications and loss of family members due to exposure to the agrochemical. Over 20 years of aerial spraying on cashew plantations in Kerala and other states has left many with mental and physical disorders. Studies have established linkages between aerial spraying of the pesticide and the growing health disorders in Kasaragod district. Over the years, other studies confirmed these findings, and the health hazards associated with endosulfan are now widely known and accepted. The issue came to light over decades with growing international opposition against Endosulfan. In February 2001, Down To Earth broke the story and continued to report the plight of victims for close to two decades . The Centre for Science and Environment, in 2001, conducted Endosulfan tests in Kerala villages and brought results to the public eye. Here's a glimpse of our detailed coverage. Most of them have been putting it down to a supernatural curse. Jatadhari, the guardian spirit (theyyam) of the area, is angry, believe several people of Padre village of Enmakaje Gram Panchayat (village council) in Kasaragod district of Kerala. Family after family has people suffering from diseases that were never noticed in the area in the past. The worst hit is an area of about four sq km in the sixth and seventh wards of the panchayat . Here, if you walk along the Kodenkiri todu (stream), you'll realise that hardly any family has escaped the curse. Several smaller streams, flowing down the surrounding Western Ghat hills, join the Kodenkiri. 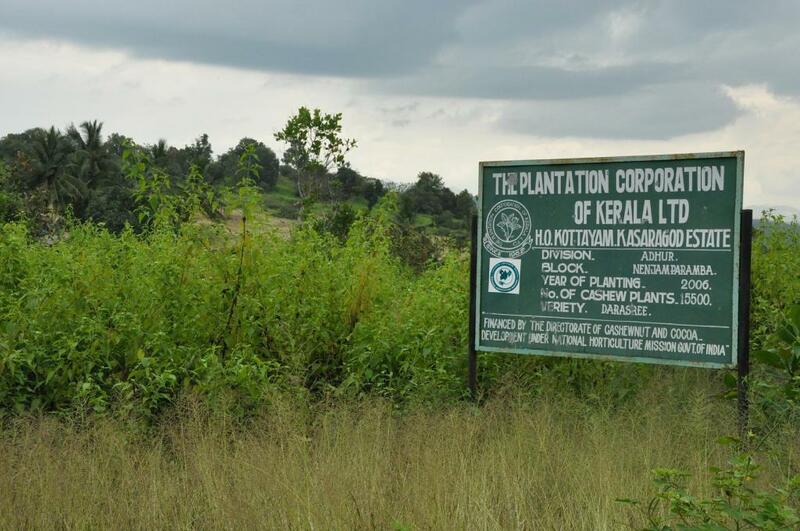 The Plantation Corporation of Kerala (PCK), run by the state government, has its cashew plantations on the upper reaches of these hills. Mohana Kumar Y S, a doctor who has practised medicine in the area since 1982, has been perplexed for the past 10 years. "Disorders of the central nervous system are very common among the children of the area -- cerebral palsy, retardation of mental and/or physical growth, epilepsy and congenital anomalies like stag horn limbs. There are too many cases of cancer of the liver and blood; infertility and undescended testis among men; miscarriages and hormonal irregularities among women; skin disorders; and asthma, to name a few. Psychiatric problems and suicidal tendencies have also been rising. Surprisingly, almost all the ailments are restricted to people under 25 years of age," the doctor points out. "There is no source of pollution in the area, no industries. I just couldn't fathom the cause of these diseases. But I was sure about one thing: they are all very difficult to cure," Kumar points out (see interview). In 1996, he wrote to some big names in psychiatry in the region, drawing their attention to the mysterious nature of the problem. There was no response. In December of 1996, he wrote to the Kerala Medical Journal , soliciting researchers' attention. Again no response. If you check the February 1997 issue of the journal, you'll chance upon the appeal: "I feel the root of the problem lies in the water itself which might contain a mineral or radioactive substance which is harmful to the brain," the letter says, referring to the Kodenkiri stream. Narayan C, teacher at the Government Higher Secondary School in Vaninagar area of Padre, says, "For the past 10 years, teachers have felt that the children coming from the backside of the school, which is adjacent to the Kodenkiri stream, are below the average intelligence level. Of the 40 children who come from that area, nine are mentally retarded. It cannot be malnutrition. Even the poorest of the poor in this village have at least two square meals a day." But let's briefly leave the doctor and the teacher in their bewilderment and go to a somewhat older story. Around 1963-64, the agriculture department began planting cashew trees on the hills around Padre. The valleys below house villages like Padre. In 1978, the PCK took over the plantations. 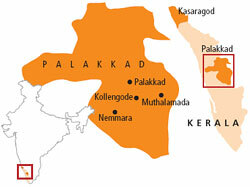 Today, the area under the PCK's Kasaragod Estate stands at 2,209 hectares. Insecticide sprays were taken up to counter the tea mosquito, a major pest that affects yields. To begin with, it was a pesticide called endrin. Later, the PCK began spraying endosulfan, an organochlorine pesticide (see box: Endosulfan: a profile). Aerial spraying of endosulfan began sometime around 1976, say Padre residents. Bala Kurup, manager of the PCK's Kasaragod Estate, says aerial spraying began only 15 years ago. The Evidence Weekly magazine published a report on cows giving birth to calves with deformed limbs after aerial sprays of endosulfan in Enmakaje Gram Panchayat as far back December 25, 1981. The author was Srikrishna "Shree" Padre, a farmer and journalist who takes keen interest in agriculture, the environment and matters of public interest. Protests against aerial spraying began about two decades ago. The panchayat complained to the district collector, seeking a thorough probe. Sporadic protests continued. Residents saw bees, frogs and fish disappear from the area. Farmers producing honey to supplement their income have continually opposed aerial spraying. But it took 18 years for the matter to come to a head. On December 25, 2000, the PCK announced that it would carry out aerial spraying the next day. The next day some young men of Padre gathered around the temporary helipad. Two schoolteachers, Aravinda Yedamale and Nagaraj Balike, led the protest. They asked the PCK officials to desist from aerial spraying. Bala Kurup would have none of it. When the crowd became agitated, he called in the police. Aerial spraying was carried out. The unrest brought together several residents. The Endosulfan Spray Protest Action Committee was formed with Aravinda Yedamale as the chairperson. Shree Padre was also there. He exchanged notes with Mohana Kumar about the episode. For the first time, the doctor shared his suspicion that endosulfan had something to do with the unusual maladies he has noticed. Shree Padre saw sense in this. He encouraged Kumar to probe further. The doctor went back to his tattered, dog-eared toxicology textbooks. The scribe started searching the internet. A day later, they were terribly excited. 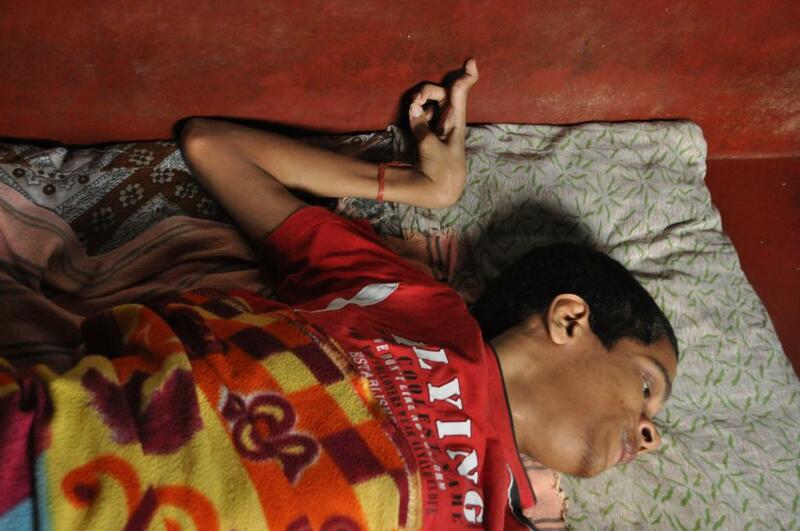 The health effects of endosulfan poisoning were similar to the maladies Kumar had noticed. But saying that a public sector company was indulging in mass homicide was a bit too much. The evidence Kumar and Padre had was too circumstantial. But their sense of moral outrage at the arrogance of pck officials like Bala Kurup made them persist. The doctor began to dig up medical records. Shree Padre, who keeps in touch with the civil society right across the country, began sending emails to anybody who could provide him further information. Both came up with some truly shocking findings. Almost all the symptoms noticed in the area were listed under the health effects of endosulfan. The pieces of the puzzle were coming together. The doctor began holding public meetings to explain his findings to the villagers. Shree Padre began contacting journalists. In no time, the local press and television picked up the issue. They faced one major limitation: lack of hard scientific evidence. What ensued was a media war. pck began issuing press releases, absolving itself of any blame. But the local media has been more appreciative of their struggle. One case that has really caught the attention of the media is that of Kittanna, who has cerebral palsy. "After the popular daily Malayala Manorama carried Kittanna's picture on page one, Bala Kurup visited his father Shinappa Shetty. He asked Shetty to give a written statement that endosulfan spraying had nothing to do with his son's illness. Shetty signed a statement saying he couldn't say whether Kittanna's disability had anything to do with the pesticide," points out Shree Padre. Both Shetty and Bala Kurup corroborate this. After obtaining the statement, the pck official went to the doctor to ask for the addresses of other patients in his list. "I refused to give him the addresses of my patients. His motive was obviously not to help them. He probably wanted more signed statements. How can a villager establish the cause of disease?" asks Kumar. The residents saw this move as a sure sign of misconduct. They mobilised themselves under the action committee and sent a complaint to the district administration. The district collector grants permission for aerial spraying. When Down To Earth met the district collector of Kasaragod, P C John, he refused to comment. He said ministers and elected representatives were discussing the matter and it wasn't proper for him to say anything. In an interview with the television channel Star News, John had earlier said: "How to stop it [aerial spraying]? Why should I stop it? Those are the questions. Because I am giving consent as per rule. " Till the time of this story going to press, no ministers or administrative officials had visited the village, although elections to the legislative assembly are due in three months. Cherkalam Abdullah, the local representative to the assembly, visited three victims' families on February 3, 2001. The village leaders say the administration's apathy is hardly surprising as the village is up against a public sector corporation, and hence the whole state machinery. No political party took a stand on the matter initially. The first was the Communist Party of India (CPI), a part of the leftist coalition that is in power in Kerala. The vice-president of the Enmakaje Panchayat is from the CPI, and is busy organising public opinion against the spraying. The Bharatiya Janata Party has also decided to take up the matter and join the protest. "Everything becomes a political issue given the polarisation of Kerala's polity. We don't wish to become pawns in a political game. We only want an end to this tragedy. If political parties can sense our misfortune, they are welcome join us." Having lost their faith in the administrative set-up and the political parties, Padre village has taken recourse to the court. The response has been favourable thus far. On January 24 some residents of Padre petitioned the Court of the Munsiff of Kasaragod. Mohana Kumar filed an affidavit explaining the reasons for his concern. They obtained an ad interim stay till February 8, restricting pck from spraying of endosulfan by helicopters or any other means. The court order states that the petitioners have established a prima facie case through the documents presented. On February 8, the stay was extended till February 16. But a woman from Kajampady area of Padre, who works in the pck plantations, informed Down To Earth that spraying was going on through manual pumps in some parts of the plantations. The village is contemplating contempt of court proceedings. But the leaders of the campaign aren't content with waiting for the court ruling. Every other day, Kumar, Shree Padre and Shripati Kajampady, a doctor who runs a nursing home in the nearby Perla village, as well as other known people hold public meetings. They brief the residents of all the latest information available. If some agitated people want to take up violent measures to put an end to the endosulfan menace, they try to calm them down. They want to ensure that all protest is non-violent and democratic. They are trying to build support for their cause in the civil society, constantly seeking guidance and support from scientists, social leaders, environmental campaigners and journalists. They are also reaching out to other villages that have complaints similar to theirs. Periya and Pullur, two neighbouring villages 25 km south of the district headquarters of Kasaragod. Some residents here have obtained a stay order from the courts against aerial spraying by the PCK. Here, several families stay right inside the plantations. They don't talk readily, living as they are right under the PCK's nose. But there are several stories of illnesses here, especially among women and children. This is just the first phase of Padre's struggle. "Our gyanodaya (awakening) happened only one month ago. We have get our hands on some scientific information and mobilise some social support based on that. We are yet to understand the magnitude of the problem," says Shree Padre. One walk through the village is enough to send a chill down the spine. Several families live right at the edge of the forest. 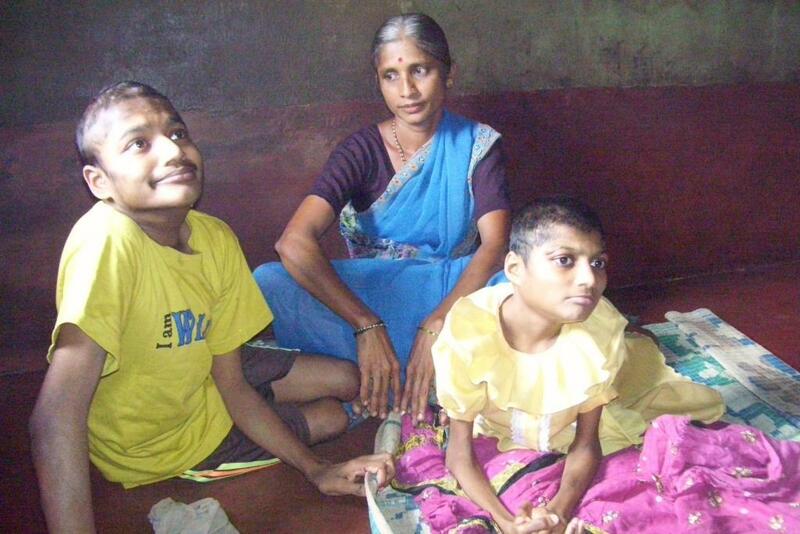 Their trees, water, crops, land, their very bodies have absorbed endosulfan for more than two decades. The effect is anybody's guess till a thorough scientific probe is conducted. Till then, all that there is to go by are the observations of the residents, particularly the elders who have witnessed the change in local ecology. "I don't see jackals in this area now," says Kajampady Subramanya Bhat, 75, whose family has lived in Padre since he doesn't know when. "In 1962-63, when the plantation started, they used to put groundnut cakes in the pits. A worker told me they were mixing pesticides in the cakes to prevent jackals from eating them. I don't see any jackals now, nor too many frogs, fish or crows. Rat snake, a farmer's friend as it checks the rodent population, has disappeared. There are no fireflies. I used to have 22 beehives. Now I have none. " There are several similar tales of ecological destruction. Even if the village manages to stop endosulfan spraying for all times to come, the people here fear a poisoned future. They don't know what other nightmares are in store. If their problems are due to endosulfan then the issue of compensation is bound to come up. But India's record in compensating victims of environmental pollution is abysmal (see 'The red triangle', Down To Earth , January 15, 1998). There can be hardly any hope when the culprit is a government corporation. If the cause of their maladies is not the pesticide, it might be an even longer wait till some scientist somewhere decides otherwise. It is called the mango city. But of late, Muthalamada panchayat in Kerala’s Palakkad district has gained notoriety for excessive use of endosulfan in its mango orchards. Its effect is showing on people living there. When seven-year-old Sharanya was born, her parents Rukmini and Chandran were relieved the baby was normal. In the eighth month of pregnancy, the doctor had warned them that fluid had entered the baby’s brain. Rukmini’s joy of having a normal baby was short-lived. Sharanya developed cerebral meningitis on the 28th day. Her head began to swell. She was diagnosed suffering from hydrocephalus—a condition caused by abnormal accumulation of cerebrospinal fluid. Sharanya can talk, rather mumble, and can sit only with support. 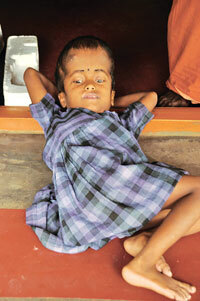 She is the latest suspected endosulfan victim. Her condition is similar to that of children in Kasaragod where the Plantation Corporation of Kerala aerially sprayed endosulfan on the cashew plantations for over two decades, leading to serious health problems (see ‘Children of Endosulfan’, Down To Earth, February 28, 2001). Till last year, Sharanya’s parents were living in a mango orchard. Palakkad district has nearly 4,000 hectares (ha) of mango orchards along the Nelliampathy hills. The district health authority surveyed 9,000 house- holds in Muthalamada and Kollengode panchayats in November this year and identified 46 suspected endosulfan victims; four other children were found suffering from hydrocephalus like Sharanya. What was more alarming was that 33 of these victims were in the 0-14 age group. The emergence of health problems coincides with intense spraying of endosulfan that started 14 years ago. The survey was prompted by protests that followed a pro-endosulfan statement made by Union minister of state for agriculture, K V Thomas (see ‘Relief for Endosulfan Victims’, Down To Earth, December 15, 2010 ). District medical officer Rose Thomas said it was a quick survey, not a scientific study. The actual number of victims is much higher than what the district survey shows, said S Guruvayurappan, coordinator (south India) of the non-profit Wildlife Protection Society of India (WPSI). In Muthalamada alone there are at least 250 endosulfan victims, he said. Butterflies gave Guruvayurappan the first clue on the impact of pesticides. He reported thousands of butterflies, including schedule 1 species, were dying every day in the mango orchards due to excessive use of pesticides, including endosulfan. “Muthalamada is a part of Palghat gap (pass) in the Western Ghats and a major migratory route of wildlife, including butterflies. The pesticide use in this area makes the place a graveyard for the wildlife and its ecosystem,” wrote Guruvayurappan in a letter to the forest and agriculture departments and the chief minister in 2005. “We got reports of reptile and monkey deaths and dogs, goats and cows giving birth to young ones with twisted limbs,” he said. The next year the Calicut University Teacher Education Centre, the nonprofit Environment Protection Group and WPSI conducted a detailed study of 550 families in Muthalamada. Researchers found members of 174 families had serious health problems. Many children were found suffering from birth deformities, cancer, cerebral palsy, mental disorders, skin diseases, vision loss; many women were found infertile. The recent government survey also mentions the same disorders, but admits lower incidence. Endosulfan was banned in Kerala in 2005 after the Centre issued a gazette notification withholding the use of endosulfan in the state, on the basis of reports of the National Institute of Occupational Health and other committees. But that ban has been ineffective. Nearly 300 landholders of Palakkad who own big plantations in the region use endosulfan and other pesticides extensively during the flowering season to kill pests—leaf miners and leaf hoppers. 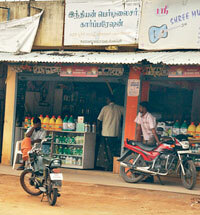 Endosulfan is easily available across the district borders in Tamil Nadu where it is not banned. The border check posts are manned by the police, excise officers and commercial tax personnel. “We neither have orders from senior officers nor the expertise to check for pesticides. Checking private vehicles and buses is restricted,” said K Narayanan, a commercial tax official at Meenakshipuram check post that borders Muthalamada. The district magistrate has initiated steps to curb entry of endosulfan through the border by forming a mobile squad which started work on December 1. The squad, headed by an assistant director of the agriculture department, has met with little success. “We conducted raids at a few pesticide depots but did not find endosulfan. The pesticide is brought in containers without labels and is sold loose. So it is difficult to find the culprits,” said Mohan Kumar, district magistrate of Palakkad. When the Down To Earth team checked endosulfan availability in one of the agrochemical shops across the border near the Meenakshipuram check post, the shop owner removed two large containers labelled Endocin (an endosulfan brand) from the counter and stood in the way, barring entry. He refused to tell who his clients were or names of the pesticides he sold. Residents said agents brought pesticides into Kerala and sold them to plantation workers. Endosulfan is the cheapest among them. It costs less than Rs 100 a litre; one litre is enough for an acre (0.4 ha). The spraying begins in January and is done manually by farm workers without protective gear. “Unlike Kasaragod where helicopters were used to spray endosulfan, here the pesticide is sprayed on individual trees with nozzles directed skywards. The person spraying gets affected directly,” said C R Neelakan-dan, environmentalist in Kozhikode. The farm labourers live within the orchards or in colonies close by. Shaktivel, a 10-year-old in Ambedkar Colony in Muthalamada, often crosses the barbed wire fence next to his house to pluck mangoes and eat them. The boy suffers from psoriasis—a non-contagious skin condition that leads to thickening of skin. The exact cause of Shaktivel’s psoriasis is not known, though genetic predisposition and environmental factors are known to trigger the condition. The boy’s mother has been diagnosed with leprosy. Shaktivel’s 13-year-old sister was diagnosed with a tumour in the back, a month ago. His father is a farm worker. Incidence of such health problems is high but people are unaware these could be caused by endosulfan. Most labourers are from scheduled tribes such as Eravallan and Malassar. Murugeshan of Adivasi Protection Committee, a people’s forum, is now persuading labourers. “We have asked them to look for new jobs if contractors force them to use endosulfan,” Murugeshan said. He succeeded in getting one farm worker to quit job after his contractor insisted he use endosulfan. The pesticide is a known carcinogen, neurotoxin and genotoxin (damages DNA); the Insecticides Act of 1968 recommends restricted use of endosulfan. The Stockholm Convention, a global treaty to protect human health and environment from such chemical compounds, has declared endosulfan a persistent organic pollutant and 73 countries have banned its use. A handful of countries like India, China and Israel, however, oppose its ban (see ‘India still in endosulfan denial’, Down To Earth, November 15, 2010). The Kerala government has been pressing the Centre to impose a country- wide ban on the pesticide. But its own track record hasn’t been impressive. Worse, the 2011 farm guide, circulated by the state agriculture ministry last month, recommended endosulfan use as a part of best practices package. “Someone was careless enough to send the old brochure for reprint; that officer has been removed,” said A Jayathilak, additional secretary for agriculture. On November 19, the state pollution control board announced a ban on endosulfan under the Water (Prevention and Control of Pollution) Act of 1974 and the Air (Prevention and Control of Pollution) Act of 1981 after it found endosulfan in water and sediment samples in the Shiriya river in Kasaragod; anyone violating the ban could land in jail for up to six years and pay fine. “The latest notification shows the earlier ban was not taken seriously,” said Jayakumar of Thanal, a non-profit. The ban was followed by an announcement by state agriculture minister M Retnakaran on December 3. He said all licences to red (extremely toxic) and yellow (highly toxic) label pesticides will be withdrawn in Kasaragod. These include endosulfan, monocrotophos, furidan and phorate. Under its organic farming policy, Kerala wants to convert to organic farming in the next 10 years and withdrawing licences in Kasaragod is the first step. But these initiatives are not enough. “The neighbouring states of Karnataka and Tamil Nadu also need to ban the pesticides we ban. Otherwise, they will be brought in through the porous borders,” said Jayathilak. The Centre’s stand on endosulfan is still unclear. In December, the agriculture ministry organised a three-day seminar on agriculture development which was sponsored by pesticide companies who also produce endosulfan. I would like to see endosulphan banned in all states not only Kerala. I hope it would be soon.